For a parent, there are few worse experiences than losing sight of a young child in a public place, such as a mall or a beach. Fear rises within you as you look helplessly around. You wonder which direction to search first. You imagine various possibilities, some of them too frightening to contemplate. Your heart races and you experience the overwhelming need to do something, fast. Well, there are steps every parent can take to prevent this from happening. 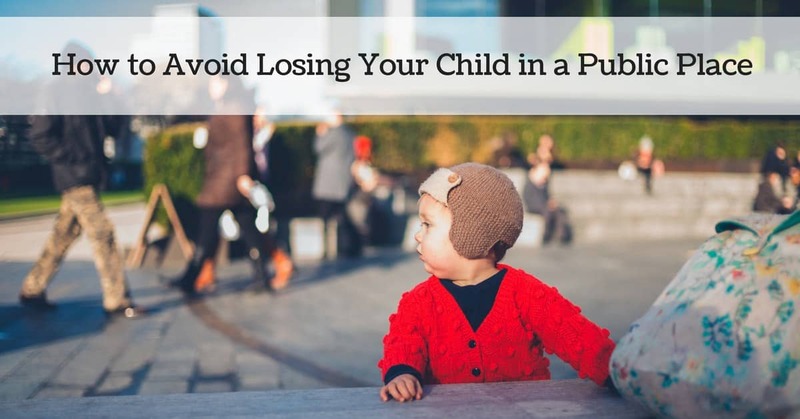 Here are six tips to avoid losing a young child in a public place. Dress your child in bright colors. Make sure they dress in bright-colored clothing if you’re planning to spend time in a public place that day. And be sure to memorize what the child is wearing. Make a plan. If you’re going to a mall, an outdoor market, or a beach, take a moment to ensure that everyone knows what to do if the group gets separated. Agree on a meeting place, such as a customer service booth, a fast-food restaurant, or a lifeguard’s station. Train your child. Beyond the specific plan for a particular situation, your child should be able to follow basic instructions. Teach them what kind of adult to approach when they get lost or are in distress — a police officer or security guard, a store employee, or a mother with children. Tell them to explain their situation and to ask the adult for help. Train them not to get into a stranger’s vehicle, not to hide, and not to stray too far. Teach your child to recite specific data. Your child should be able to tell a responsible adult their full name and age, their home address or hotel name, and their parent’s name and cell phone number. You may need to spend time coaxing young or shy children to recite this information. Keep a recent digital photo of your child with you at all times. If your child does get lost in a public place, it is beneficial to have a picture to show other searchers. Consider using a digital tracking device. The technology is now available to plant a digital tracking device on your child (in a pocket or on a belt). That makes it easy to locate your child using a cell phone or computer tablet that accesses the tracking signal. If you choose to invest in such a system, take time to explain to your child the importance of not discarding the device. Losing a young child in a public place is indeed a traumatic experience. Following these tips will help to ensure that the situation is resolved quickly and happily for you and your child.